It’s inevitable, you will get stuck. It’s all part of the naming journey. Even professional namers, linguistic professionals, and serial entrepreneurs hit a few naming blocks along the way, which is why we’ve provided a list of resources later in this chapter. I’m stuck, what the heck should I do? First things first, try stepping out of your routine and finding an environment that you enjoy being in, where you feel relaxed and comfortable. The right mix of space, conditions, stimuli and aesthetics, like color and lighting, can enable creativity. However, not thinking about what to name your startup can also be an effective strategy to induce creativity. As ridiculous as that sounds, our unconscious mind is deeply connected to our creativity. Just take a few minutes to listen to the Tim Ferriss Show, a podcast I often listen to on the way to work. On episode #219, Tim interviews Adam Robinson, a brilliant chess player, entrepreneurs and do-gooder , who discusses the power of the three B’s of creativity. 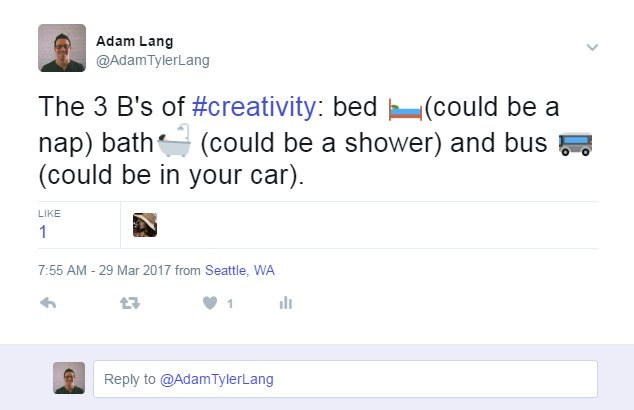 This theory of creativity instantly struck me because I develop my most creative ideas when I’m driving in my car. Oli Gardner, the co-founder of Unbounce, wasn’t satisfied with the company’s placeholder name, EZlanding. Instead of sitting at his desk, he took a late night stroll around the Vancouver seawall. This experience triggered a vuja de (when suddenly an idea becomes clear) moment. A dedicated, standalone landing page has only one thing to do, so you either convert or you bounce. Bouncing – and bounce rate in general – is a bad thing, so I flipped it on its head by un’ing it. Hence, Unbounce. I remember sprinting home to buy the domain name with that completely irrational fear that in those few moments someone else would buy it. As we mentioned in the previous chapter, one of the most important strategies around naming is simply setting a timeline and sticking to it. Let ideas incubate and let daily experiences influence new ideas. And if you catch yourself delaying along way, just know that a moderate level of procrastination can also induce creativity. Adam Grant, a psychology professor at Wharton and author of Originals ((#1 New York Times bestseller) reveals that “procrastination gives you time to consider divergent ideas, to think in nonlinear ways to make unexpected leaps.” And this is exactly why we encourage you to be patient. 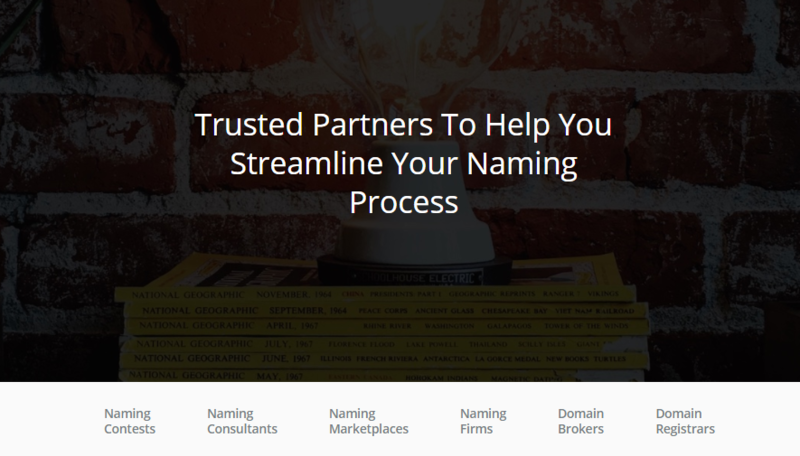 Whether you just need a couple questions answered or would like to completely pass your naming project off to someone with more experience, go explore a list of our naming partners. And, if at anytime you are unsure what partner to move forward with, shoot me a note, I would be more than happy to collaborate with you! And, we’ll conclude this chapter with WHAT NOT TO DO. Have you named a company before? If so, let us know what approaches or tactics you used to get unstuck. Comment below! Why is Pepo Called Pepo? 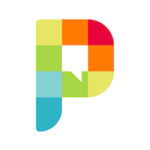 Pepo connects you with people who share your passions. Jason Goldberg wanted a short, friendly, easily-remembered name, that instantly makes you think about people connecting with people. We think Pepo is positively perfect. At some point you will feel tempted, but we highly recommend staying away from including numbers in your name. Digits tend to make your name more generic and less brandable.